Baby chickens are very cute. Them expressing any emotion can make any cold heart feel warmer. But since they are babies, they are very gentle and require some finesse when taken care off. This is why raising baby chickens after hatching can be a little bit challenging. Therefore, many people that are not experienced with this process can make a few mistakes. Mishandling baby chickens can lead to serious long-term injuries. In addition, the way you behave with them in the first 3 weeks can affect your future relationship. 2. Go Easy On Them, They Are Babies After All! It is easy to understand how a new batch of baby chickens can be fun for all the family. But people tend to overreact on the whole baby chicken euphoria. While the best thing to do when feeding baby chicks is giving them starter feed many people tend to overfeed them. Letting your guests and family surprise your baby chickens with a treat might not be a good idea. Here`s why – most of the feed full grown chickens are allowed to eat can be very harmful to the baby chickens. With their organs still in early development, some small things can harm the baby chickens a lot. 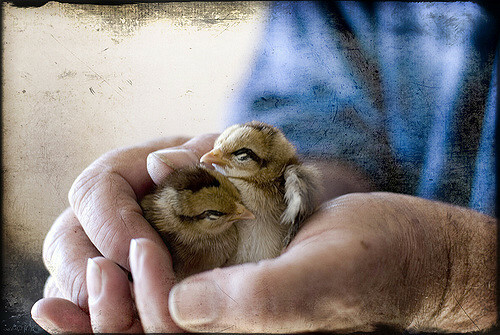 The urge to pick one up and cuddle is great, everyone who has seen a baby chicken will tell you that. But what some chicken keeping enthusiasts are not familiar with is how weak the baby chickens are. It is extremely relevant to know that when picking up the baby chicken you need to gently restrain it from moving its wings. Also, leave room for them to move their legs freely without hitting something. When you come near them be slow while picking them up. Some feed in your hand could make them come to you. Always remember that they will be scared of you so if they run from you, it is normal. Two days after they have hatched the baby chickens need to be moved from the incubator. 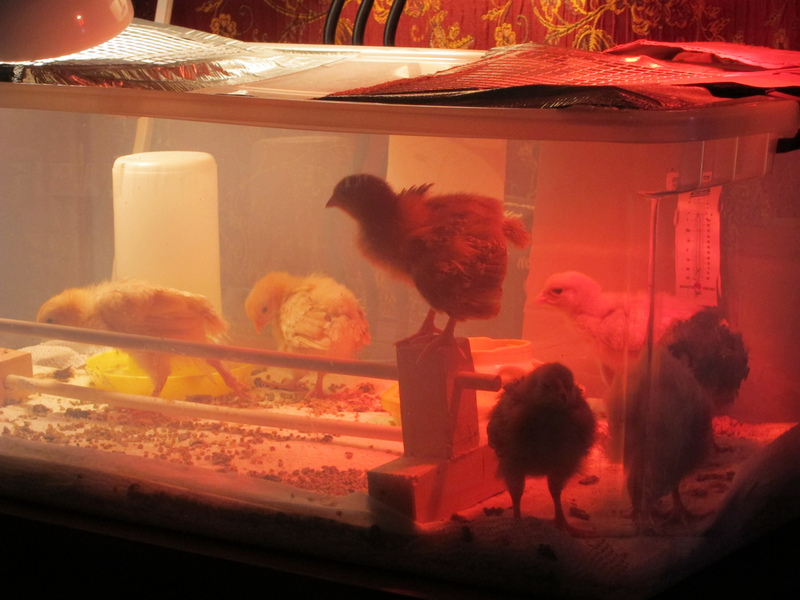 People use brooders for their baby chickens. It is the best and safest way to make them adapt to each other and the environment. Some prefer to make their own brooder and some like to buy one from the market. Whatever you choose for the brooder, the most important thing is temperature. When moved to the brooder the baby chickens need to stay at 95 Fahrenheit degrees. After that every week or so lower the temperature 5 degrees. Baby chickens show signs when they are cold or hot. When they are too hot, they stay as away from each other as possible. On the other hand, when they are cold they group up to keep each other warm. 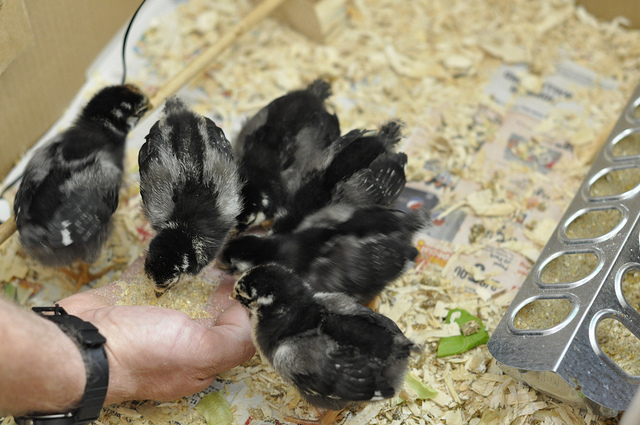 When raising baby chickens after hatching, the most important thing is patience. Once they recognize you as a figure of authority you will have no problem moving them from brooder to coop. Previous Article From Brooder To Coop – How To Handle A Growing Chicken!